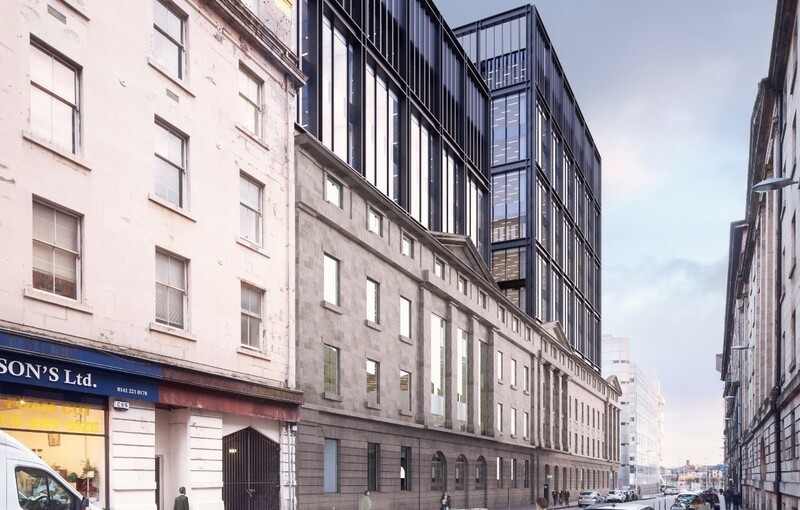 BAM Properties and TCP Developments have commenced delivery of 284,000sq/ft of office space at Glasgow’s Atlantic Square after securing a significant pre-let from HMRC. The government agency has committed to 187,000sq/ft for a minimum of 20 years, bringing 2,700 full-time staff together on one site once operational at the end of 2021, joining 12 other regional tax centres scattered across the UK. Piling is well under way to accommodate the ten storey block, which will also be joined by a smaller 96,650sq/ft sibling. 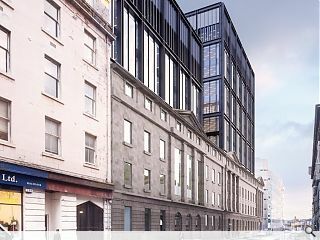 Designed by Cooper Cromar the project will include retention of an A-listed warehouse façade, which will have a new archway punched through to provide access to a basement car park. Completion is expected by autumn 2020. Current construction encompasses the twin office buildings only, including a stretch of public realm connecting York & James Watt Street. Ground floor levels will be split between reception areas and 'possible' retail/food&drink/leisure uses. The corner residential/ground level retail component (Building 3) isn't being progressed at this stage. How utterly depressing. Why are developments never fully realised in Glasgow?! Another empty plot of land to lie vacant forever. I think it's great, very ambitious. Just what we need on the Clyde. On Independence HMRC will cease to exist in Scotland so the Scottish Government should be setting down a market now that they will not take over liability for architectural abominations such as this! Why do so many of these schemes depend on public subsidy for 20 years through leading agreements? Love to see the dilapidation clause too. Bothwell exchange will soon go ahead without any of the retail and residential components mooted in its preap. Here BAM have a huge prelet and their residential component was already derisory - still no follow through. The council keep stating their aim to increase city centre population but when push comes to shove it seems like they either can't or won't do *anything* to make it happen? Tradeston will be next. Can't see anything wrong wioth 2700 well paid jobs in the city centre, 10 minutes walk from train stations. I'd agree with #8 that the SNP would need double the amount of tax collectors to fund their 'policies'. Cant see the point of retaining the old facades if the new elements are so close behind and there is no attempt to limit the building height to that of what is left? No streetscape or sensible massing. Poor show but then Glasgow appears to have lost any desire to deliver a cohesive well thought out approach to urban design. Lets build it higher and blander at every opportunity.